NATO strategists are reportedly planning for a scenario in which Trump orders US troops out of Europe, as the shock result of the US presidential election sinks in, spreading an atmosphere of uncertainty. According to Spiegel magazine, strategists from NATO Secretary-General Jens Stoltenberg’s staff have drafted a secret report which includes a worst-case scenario in which Trump orders US troops to withdraw from Europe and fulfills his threat to make Washington less involved in European security. “For the first time, the US exit from NATO has become a threat” which would mean the end of the bloc, a German NATO officer told the magazine. 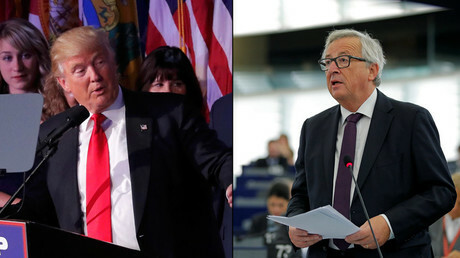 The president-elect therefore has to reassure the European allies that he remains firm on the US commitment under Article 5 of the NATO charter prior to his inauguration, the top diplomat stressed. Fearing that Trump would not appear in Brussels even after his inauguration, NATO has re-scheduled its summit – expected to take place in early 2017 – to next summer, Spiegel said. The report might reflect current moods within the EU establishment as well, as Jean-Claude Juncker, President of the European Commission, has called on the member states to establish Europe’s own military. Washington “will not ensure the security of the Europeans in the long term... we have to do this ourselves,” he argued on Thursday. If Trump is serious about reducing the number of US troops stationed in Europe, large NATO countries like Germany have little to offer, Spiegel said. Even major member states’ militaries lack units able to replace the Americans, which in turn may trigger debate on strengthening NATO’s nuclear arm, a sensitive issue in most European countries for domestic reasons. Still, an increase in defense spending has already been approved by the Europeans following pressure from the outgoing US administration. 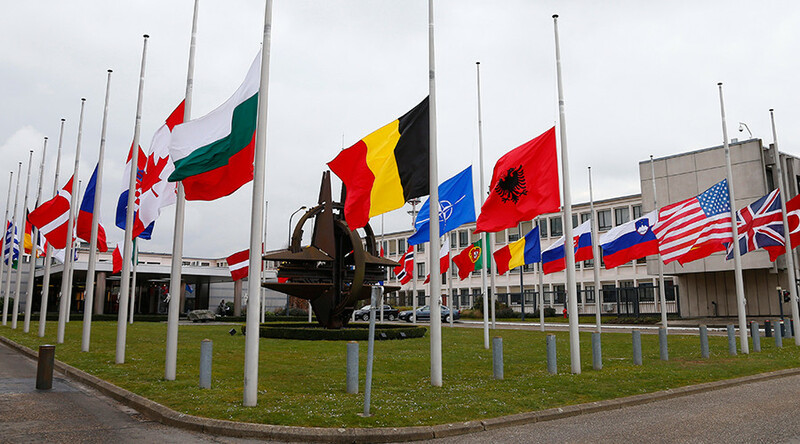 Over the past few days in Brussels, representatives of NATO states have been working on the so-called “Blue Book,” a secret strategy paper which stipulates each member’s contribution in the form of troops, aircraft, warships, and heavy armor until 2032, Spiegel reported. The document stipulates an increase in each NATO members' military spending by one percent of each nation’s GDP, in addition to the current two percent. Uncertainty over Trump’s NATO policy seems to be taking its toll; Germany, one of the largest military powers in Europe, plans to allocate 130 billion euros ($140bn) to military expenditures by 2030, but the remarkable figure may be a drop in the ocean. 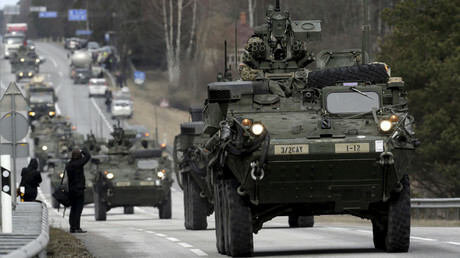 “No one knows yet if the one percent more would be enough,” the German NATO officer told Spiegel. Nevertheless, the US is continuing to deploy troops to eastern Europe, justifying the move with the need to protect the region from “assertive Russia.” Earlier this week, the largest arms shipment yet, 600 containers, arrived in Germany to supply the US armored and combat aviation brigades, expected to deploy in Europe by January 2017.